The game will "remain true" to J.R.R Tolkien’s The Lord of the Rings. 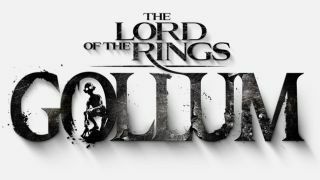 Daedalic Entertainment has announced The Lord of the Rings—Gollum, a new action-adventure game set in J.R.R Tolkien's celebrated fantasy universe. A press release from Daedalic insists "this new title will remain true to the vision laid out in J.R.R Tolkien’s The Lord of the Rings" as well as "explore new events and details related to Gollum’s journey". It will see players assume the role of Gollum himself as the game "tells Gollum's story from a perspective never seen before, in any storytelling medium, all the while staying true to the legendary books of J.R.R. Tolkien". Sadly there aren't many further details as yet—here's an interview with some more info from Daedalic—but The Lord of the Rings—Gollum will be powered by Unreal Engine and is expected to come to PC as well as "all relevant console platforms at that time" sometime in 2021. "We are extremely pleased to announce our partnership with multi-award-winning Daedalic Entertainment, to build an innovative, lore-centric game for discerning fans of The Lord of the Rings. With their focus on characters and story, enhanced by rich and evocative artwork, Daedalic is committed to 'building games for readers who become gamers'", said Fredrica Drotos, brand officer for Middle-earth Enterprises. "We eagerly anticipate the release of Daedalic’s narrative-driven adventure gameplay, which is uniquely matched to the complex, deeply-nuanced world of Middle-earth, created by J.R.R. Tolkien."